A tribunal of arbitrators at the International Centre for the Settlement of Investment Disputes (ICSID) has ordered an award of C$30.4-million to Canadian project developer Bear Creek Mining. The arbitrators agreed with the TSX-V-listed company that Peru had breached its obligations to the company under the Canada-Peru Free Trade Agreement when it expropriated the company’s Santa Ana silver project, in 2011. The award includes interest and arbitration costs, including attorneys’ fees. "With the arbitration concluded, we look forward to accelerating the advancement of our Corani project, in conjunction with the government of Peru and the Corani communities,” president and CEO Anthony Hawkshaw stated. Bear Creek launched the arbitration in 2014 on the back of, among other things, the Peruvian government’s Supreme Decree 032, in June 2011, which quashed Bear Creek’s rights to operate at the Santa Ana project. 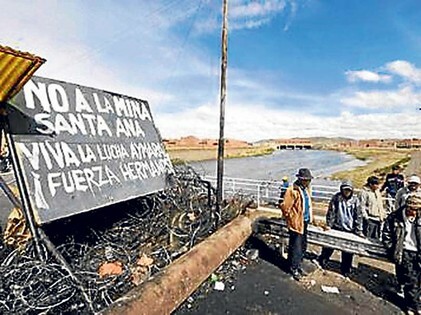 According to the tribunal, Supreme Decree 032 constituted an unlawful expropriation of the Santa Ana project. The majority of the tribunal also concluded that Bear Creek had complied with all legal requirements regarding its outreach activities to the local communities, which Peru approved, supported and endorsed. The award, of which there is no appeal, is binding upon the parties and payment is due promptly. Article 52 of the ICSID Convention provides the opportunity, within 120 days and under limited grounds, for either party to request annulment of the award.